How is your weekend going so far? There is not much activity here when it involves rain, wind, and cold…sadly enough, that’s pretty much everyday here in the Northwest. Harsh weather calls for long and thick coat. 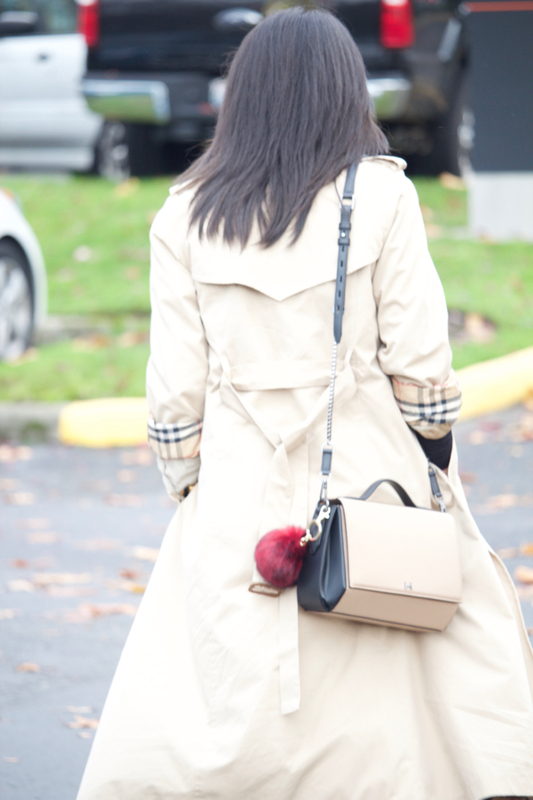 Thanks to my vintage clothing hunt, this trench is perfect due to a removable extra layer on the upper body, which keeps me warm in the cold and windy dayS. Gray weather is also a perfect opportunity to accessorize with bright and bold piece, and my currant red boots come handy for just that! Thanks so much for reading, wishing you a warm Holiday season. 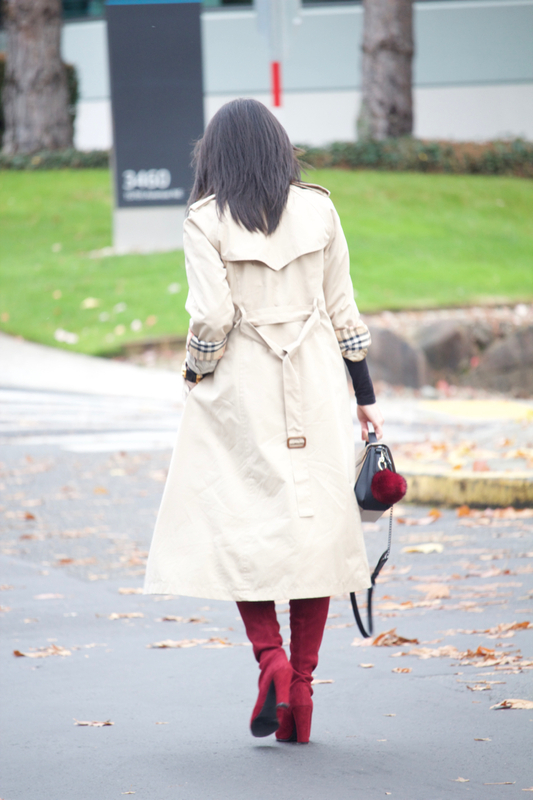 Loving this long trench <3 It's gorgeously chic and elegant!